Is it possible to get every Warframe without buying platinum? Well, yes, there is freedom of choice. It is possible, but it is long. Grind + time to trade. If your time is precious, and grind and trading chat is not fun, it's easier to buy. Mercenaries and mass murderers. Absolutely non-independent. Tools in the hands of others. In the "New War", it is possible that they will become the "good guys." Theory- Not sure if it could be a spolier or not. Anything can happen. I even think we will see Margulis in the game. But it is hardly Nora. Margulis was an adequate lady, and Nora carries some psychedelic nonsense. Despite the fact that I didn’t like the demo version of Anthem, I still bought this game) Since I like the sci-fi setting, it’s interesting to try another game in this style. In the form in which it is now, I liked the Anthem. The combat system is good, the game is beautiful, the story is not bad. Regarding the topic, what Warframe can learn from the Anthem ... I don’t know. These are different games. They are good, each in its own way. The only thing I agree with the above example of a heavy Javelin - Colossus really feels like a powerful, heavy tank. If a similar frame appeared in Warframe, it would be nice. Honestly, I think that this quote is either a complete lie, or its author exaggerates abruptly. I have been playing Guild Wars 2 from the very beginning, I have NEVER come across gold sellers. Seriously. However, Arena.net is now experiencing hard times, 143 out of 400 employees have recently been fired, the future of the game is in question (I hope for the best), maybe someone decided to make money, so to speak, "under the curtain." Out of fear that the game will close soon, and gold reserves will turn into dust. This is the only reasonable explanation. The only thing that they sometimes sell in chat is a place in raids. I saw it. For those who are too lazy for a long time preparing for their passage, and who are interested in this content. I completely agree. Trade chat is a nightmare) I hope that DE will someday introduce an auction, or any other, more convenient trading system. Well, not so much and destroyed) In addition, in other games, for example in Guild Wars 2, the auction has been functioning perfectly for 6 years and there is not even a hint of any "economic collapse." This question is more likely not to me, but to the DE)) Because it was they who created the quests "Natah", "Sacrifice" and "Chimera") In my opinion, everything is in general logical. The first Invasion of the Sentients was defeated by Tenno. 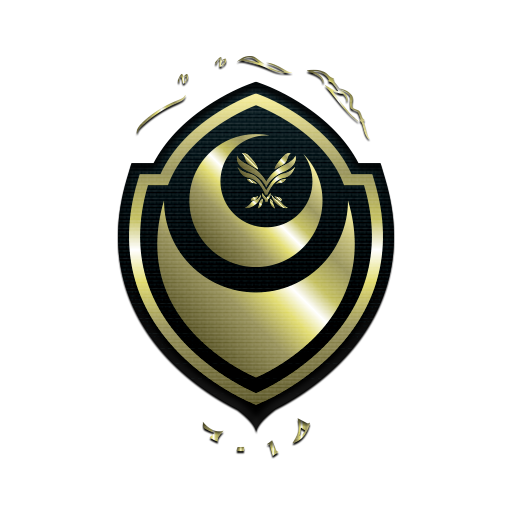 Sentients, however, managed to introduce its agent in the management of this most serious military force in the star system. The most serious - and at the same time the most trusting, childish... It was not difficult. They used Tenno first to destroy the top of Orokin's empire, and then this spy used Tenno to maintain chaos and constant war in the system itself, to prevent humanity from re-uniting and gathering strength before the next invasion. And during the second invasion, most likely, it was supposed to simply killed Tenno for the very first powerful blow, and then do away with the others. It is wiser than just kill them all immediately after the destruction of Orokin. As we saw in the quest "Natah", among the Sentients themselves there was no complete agreement about the plans for Tenno, Hunhau wanted to immediately destroy them. But Lotus was smarter. As a result, in the system for many centuries the incessant bloody war rages, Tenno kills by order of Lotus and for the money anyone, whom she (or Syndicates, or other "employers") will point to. Kills thousands, hundreds of thousands. The next Invasion of the Sentients begins - and voila, bloodless and divided by war, humanity is falling from a single blow. But in the Sacrifice, something went wrong, and Lotus was forced to open he face and run. I repeat, this is all IMHO - but this is logical) The "maternal instinct of the lotus", "taking care of children" - this is not logical, and just a lie. Lotus always lied, who now believes in her tales of "suddenly flashed maternal love." Moreover, her "love" was very peculiar)) All that she taught her "children" was to kill. All she demanded of her "children" is to kill. That is, no other knowledge, skills, development - nothing that usually gives a loving parent. Only kill. This is not the behavior of a "loving parent") This is the behavior of someone, who needs a thoughtless, blindly betrayed "death machine" under his leadership. The Arbiters of Hexis are the only ones, perhaps, who tried to promote the idea, that Tenno is more than just "killing machines." But not a Lotus. Yes, I also do not understand why this forum is needed. DE don’t read it, they don’t answer NO ONE question here (“white knights” do it for them), they don’t publish relevant information here. Or published very rarely. I saw the feedback only on reddit, just the other day one of the developers answered questions there. Or on Twitter, yes. This forum is the official resource of the game. Official. Yes, Reddit is a popular resource, but it is NOT dedicated to Warframe. He is dedicated to everything in the world. Such a hodgepodge. What a strange situation. We must search for all information on the game on third-party resources - an unofficial (!) wiki and streamers on a you-tube. Questions and feedback we have to give, it turns out, also on third-party resources - reddit and twitter. That is, ALL information relating to the game is located at other sites. Any, except the official) I do not understand this. Everything is great, mystery, novelty, night wave ... Only one question confuses me a little. Only recently, Tenno learned that for a long time they carried out the orders of a spy of faction, hostile to humanity. It would seem that this experience should have taught Tenno some critical thinking. But no) In less than half a year, a certain lady appears who gives Tenno her instructions, hiding behind a mysterious radio wave - and Tenno immediately, without a doubt, rushe to carry out her instructions. That is, Tenno does not know who she is. Where did she get the knowledge about the "dreamers". What are her goals? In general, they know nothing)) But - there is a reward, there is a new "night space mother" - pirates ahead!)) My hopes that Tenno will mature by the beginning of the New War, and will gain independence in their actions and choices, have finally collapsed) One more question. We provide military support to the Steel Meridian. We provide military support to Solaris. That is, we are helping the rebels, who rebelled against Grineer and the Corpus. Why do we suddenly attack other rebels, the "wolves"? Why do we care about the fact that they attack Grineer’s ships, if we are doing the same?) What kind of threat are these gentlemen for the Tenno? Or I missed something in this plot twist. Is it morally ok to love Clem but dislike the Twin Grakatas? No, rather protestant, schismatic. You need the Word of the Shepherd to turn from this dangerous path that can destroy the soul! For Clem is Grakata, and Grakata is Clem. And help Clem at least ten times, to be spiritually cleansed. random thought of the night : how much would you pay for Warframe? Auction. Something like a trading system in WoW or GW2. Simple and fast. I hate trade chat. If in the game were: 1. Normal auction. 2. Normal PvP. 3. Good endgame. 4. The ability of mobs to provide at least some resistance at high levels. 5. Less bullet-jumps and other acrobatics. 6. Regular updates of the storyline - that is, new quests. 7. Regular updates of game mechanics, new missions, new enemies. Then 40 - 60 dollars is quite reasonable for me the price of the game. In the current state - I have already spent exactly as much as I thought was necessary, and I do not like the mechanics of F2P, which force me to constantly spend money for a comfortable game. Warframe needs a visual uppgrade! It seems to me that two different problems are mixed in one. The lack of dedicated servers, and as a result, frequent loss of connect, host migration - is a problem of the Warframe system. Non PC owners with an outdated graphics card. A video card can be gorgeous, a person can be successful in life, it is fine to distribute his priorities in life and so on - and yet he will still face connect problems. Graphics - is another issue. A good computer, a good video-card, etc., are really important here. But if we talk about priorities in life - even in the case of complete financial well-being, changing computers every couple of years just for the sake of games is, in my opinion, not the most reasonable allocation of funds. I understand that video card manufacturers want to extract maximum profits from new models. I understand that some video game publishers are increasing the graphic requirements for their new games, because they have some agreements with the manufacturers of hardware. Mutually beneficial, so to speak. But I do not understand why I must constantly pay for the ever-increasing appetites of these respected businessmen. Paying money for a good video card, buying a video game with good graphics - is what I understand. But constantly chasing after photorealism and changing computers as often as cans of coffee - is a bust. That is, in all need a sense of proportion. Here, some discussion participants are trying to promote the idea, that if you have a hobby in the form of video games, you have to chase the latest computer models, otherwise you are a sucker and a loser - this is not so. The sucker and the loser is the one, to whom any clever sellers can sell everything they need. A normal person proceeds from the principle of reasonable necessity. As for the actual graphics in Warframe. In my opinion, the ratio of performance-quality in this game is not bad. Optimization of "open worlds" still leaves much to be desired - but this is not critical. In the old locations can improve something, but this is not a primary problem of the Warframe. P.S. I am sorry for the large post and for my bad English, this is not my first language. Yes it's true. And precisely for this, IMHO, Riven and were put into the game. An easy solution to a difficult endgame problem. Instead of adding content - adding mods that allow you to create a competitive element and a kind of "endgame". At the same time, the rivens create a very good source of income for DE. But, as time has shown, this did not solve the endgame problem. Of course. Yes, the pursuit of Riven is still thriving in the game, but there are no fewer complaints about the “content drought”. Because it is still a tool, not a content. And there were serious problems with the "gray platinum". And how many people are doing endless missions now? What can the demo version of the game teach the beta version of the game?) But seriously ... beautiful landscapes. Looks like "Avatar". It's all. Destiny 2 "hooked" me right away. Warframe "hooked" me right away. Anthem ... for some reason I did not feel the fight. Yes, the machine gun shoots, grenades fly, enemies are not plush ... but something is missing. The game is still raw in my opinion. Both technically and in gameplay. In general, the issue of purchase, I will decide not earlier than three months after the release. A little disappointed to be honest. I wonder what you are counting on, once again moving on to such an arrogant “Ad Hominem” in the discussion? That the interlocutor will then carefully study your arguments and respectfully continue the discussion? In vain.